The Mises Institute asked the question last September: “What indications are there that the world is turning its back on the US dollar?” – It did, in fact, answer that question (below), but here are just some of the more recent moves that just six months ago would have seemed unlikely. We reported on March 26 this year that China had finally launched a yuan-dominated oil futures contract after nearly a dozen false starts over a decade. With that approval, the “petroyuan” became real and China set out to challenge the “petrodollar” for dominance. Russia was already transacting oil in rubles and been working up those trades since 2015 as a result of sanctions imposed by the West. The EU has made arrangements recently to settle Iranian oil trades in euros as a direct result of Washington withdrawing from the Iran nuclear deal. Then, just last week we reported that India has agreed a deal to pay for Iranian oil in rupees as the two countries seek to bypass the US economic pressure on Tehran. We also highlighted in our report that China is the world’s biggest buyer of oil, America is the second and India is the third. Whilst the USA buys about $110 billion of oil each year – China and India combined – buys nearly $200 billion. The EU including Britain buys another $200 billion. 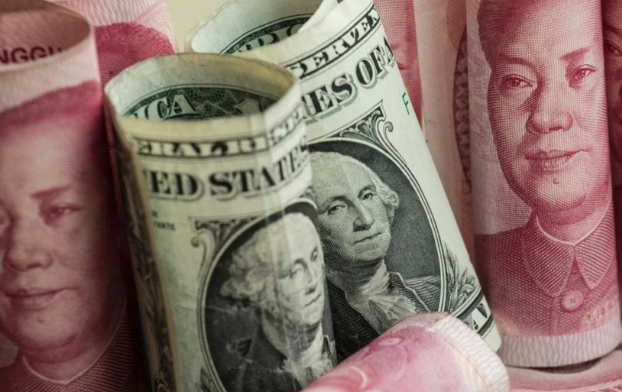 “Just the way we have been using the (U.S.) dollar and the Euro, we want to use the Chinese currency more in our transactions because it is to our benefit,” Fundanga said. He also said use of the yuan could protect the region from currency volatilities. It was also agreed that the use of the yuan would came in handy because China was giving loans to the region and other African countries. Fundanga said there was also discussion on possible currency swaps the same as what China had achieved with Nigeria, where Nigerians travelling to China could easily access the yuan from their local banks. It is clear that de-dollarisation is escalating for one reason or another and as a result, America is in a much weaker position to demand USD trades, which it has done for decades. And just how important are oil trades in USDs?